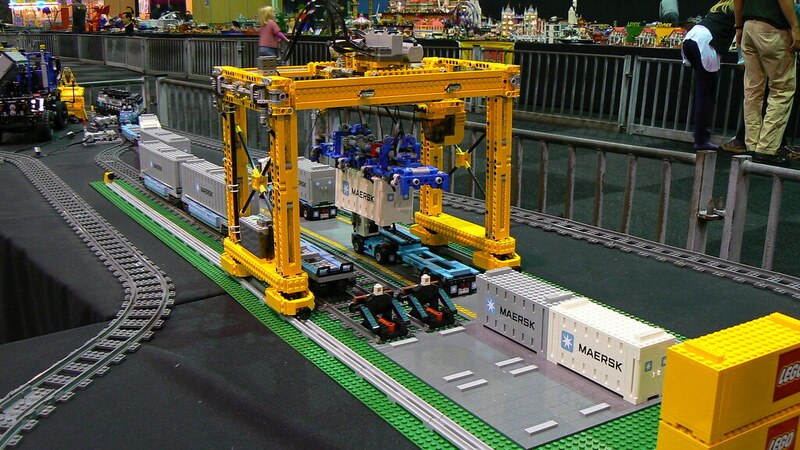 Barman (Barry Bosman) shown his new minifig scale Technic container crane, that uses PF to load and unload containers on the 10219 Maersk train, the trucks or in the depot. Despite the 3 PF M-motors, the crane also uses one old 9V micro motor. It is not mentioned, but I guess this film was taken at LW 2011 in Zwolle, last month. Building instructions are also promised for sometime ahead. I've also noticed it today, via EB.